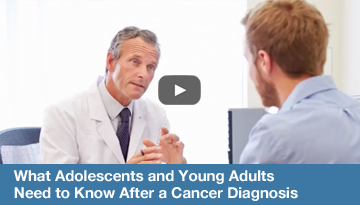 Experts in the field of adolescent and young adult (AYA) cancers and cancer survivors answer the question: What would you tell an adolescent or young adult with cancer? Cancer patients between the ages of 19 and 35 have many special concerns, including how treatment will affect their fertility. 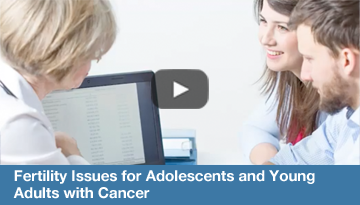 In this video an oncologist, a patient advocate, and young adult cancer survivors discuss options for preserving fertility, current research questions, and policy concerns. 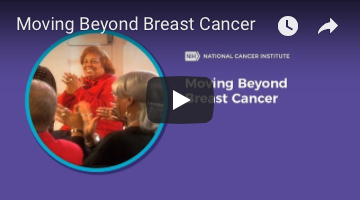 Watch several breast cancer survivors discuss their cancer experience and offer tips and advice to help cope with the challenges of recovery. 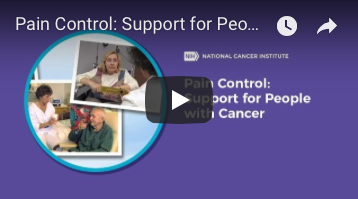 Watch cancer patients and members of their health care team discuss the issues and steps for keeping cancer pain under control. Visit Website: www.cancer.gov/about-cancer/treatment/clinical-trials to search for clinical trials supported by the National Cancer Institute. Need more help? Call 1-800-4-CANCER (1-800-422-6237) to speak with a cancer information specialist in English or Spanish. 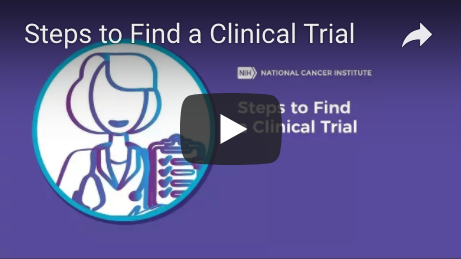 A step-by-step guide on how to find a clinical trial. website: www.cancer.gov/trialguide. 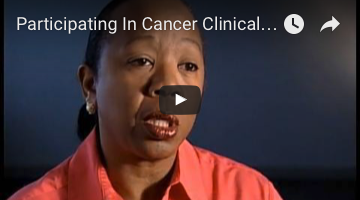 Clinical trial participants are a vital part of cancer research. 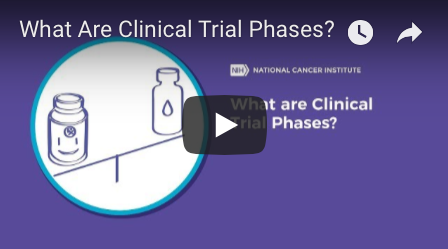 Watch this whiteboard animation to learn about the three main phases of clinical trials. Clinical trials are research studies that involve people. Understanding what they are can help you decide if a clinical trial might be an option for you or a loved one. For more information from the National Cancer Institute about clinical trials, go to website: www.cancer.gov/about-cancer/treatment/clinical-trials. 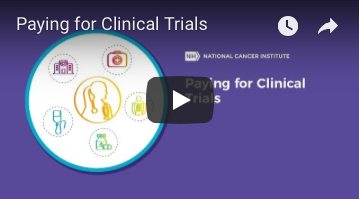 Learn about the different types of costs related to taking part in a clinical trial, and who is expected to pay for which costs. Part 1 of a National Cancer Institute cancer clinical trials educational video created for people who are considering participation in a trial. Part 2 of a National Cancer Institute cancer clinical trials educational video created for people who are considering participation in a trial. 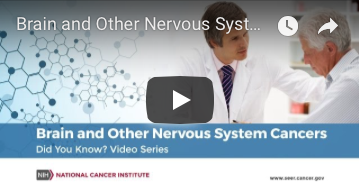 This video is part of NCI's Did You Know? 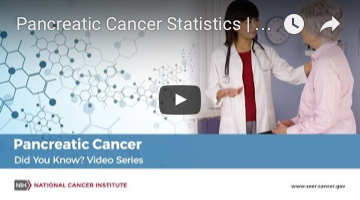 series, which highlights key topics and trends in cancer statistics. 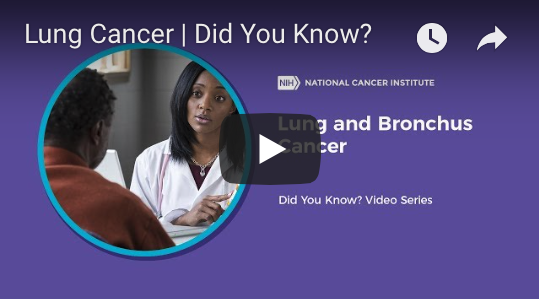 Highlighting key topics in cancer surveillance, this video from the National Cancer Institute (NCI) looks at trends in the United States. How does cancer affect people from different populations and groups? 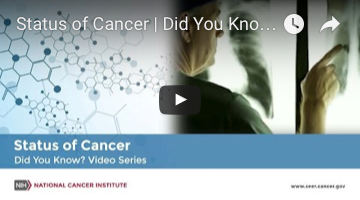 Highlighting key topics and trends in cancer statistics, this "Did You Know?" 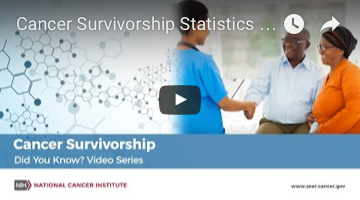 video from the National Cancer Institute looks at cancer survivorship in the United States. 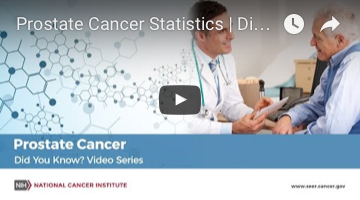 Highlighting key topics and trends in cancer statistics this "Did You Know?" 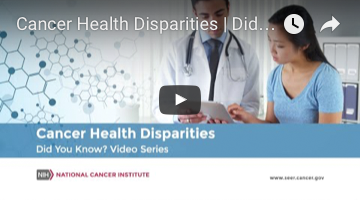 video from the National Cancer Institute looks at cervical cancer in the United States. 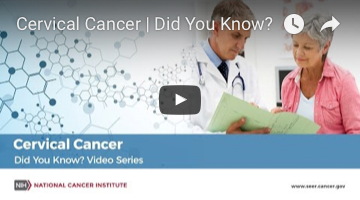 Highlighting key topics and trends in cancer statistics this "Did You Know?" video from the National Cancer Institute looks at colorectal cancer in the United States. 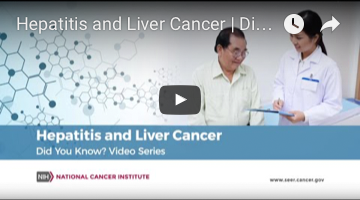 This video features the link between Hepatitis virus infection and liver cancer. 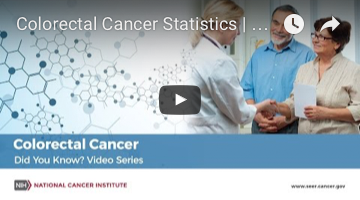 Highlighting key topics in cancer surveillance, this video from the National Cancer Institute (NCI) looks at Human Papillomavirus trends in the United States. 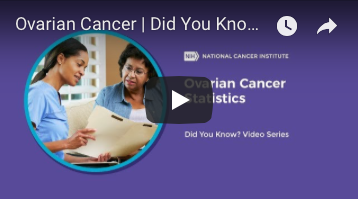 Highlighting key topics in cancer surveillance, this video from the National Cancer Institute (NCI) looks at pancreatic cancer trends in the United States. 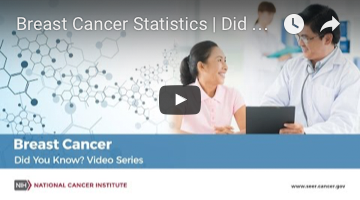 Highlighting key topics and trends in cancer statistics this "Did You Know?" video from the National Cancer Institute looks at prostate cancer in the United States. 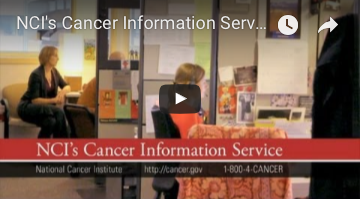 Staff from NCI's Cancer Information Service discuss the services they provide to people with questions about cancer. Cancer patients and their family members as well as concerned friends and coworkers can rely on the CIS to provide current, accurate, and reliable information on cancer treatment, cancer prevention, cancer screening, cancer clinical trials, and financial and psychosocial support. Users can access the CIS via phone, Live Chat, and email. National Cancer Institute Center for Cancer Research scientist and physician, Lauren V. Wood, M.D., discusses immunotherapy and cancer. For more information, visit website: www.cancer.gov/about-cancer/treatment/types/immunotherapy. Near-infrared photoimmunotherapy uses an antibody–photoabsorber conjugate that binds to cancer cells. When near-infrared light is applied, the cells swell and then burst, causing the cancer cell to die. Photoimmunotherapy is in clinical trials in patients with inoperable tumors.